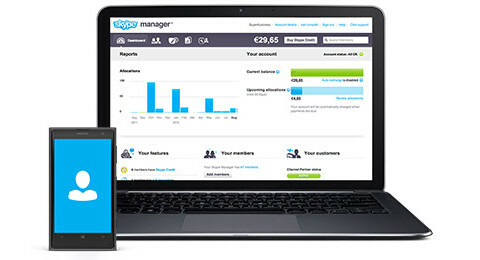 "Very useful software for companies and freelancers"
With sKype we can have a very good conversation with our clients and co-workers, no matter where they are, the fact of being able to share a screen is an excellent tool, since it is easier to solve problems if you are helping a client with his computer. In the work environment we use a lot of instant messaging and also sending and receiving files without having to go to different floors or from our house. Skype has become almost obsolete to my needs, since the advent of Google chat and Zoom calls. My use of Skype is now limited to the ppl I connect with who ONLY utilize Skype. Google Chat and Zoom are becoming the chosen platforms and if I am to remain relevant in my leadership and coaching of people outside the state I live in, I have been challenged to master other communication formats. What I dislike about Skype is that it is now being set aside by the friends and coworkers who currently live outside of the U.S., so I have been utilizing it far far less. Skype has been a good tool in the past and has rarely let me down in establishing and maintaining connections/communications. It will remain a tool I use, when the people I coach use it as their source of connections. I personally have not problems with Skype and have seen it meet the needs I have had over the past 15+ years but as I have mentioned before, most of the ppl and leaders I currently serve and connect with, have been transitioning to other sources of communication and has caused me to move over to them also. I simply use it far less, as a result of the people I serve, lead or connect with, who live outside the U.S., who no longer have it. Most of my connections who are 40+ in age, are the only ppl still holding onto Skype. The best thig of Skype is that you can contact with anyone at any time. Is the first service for video-calling and everyone has a account for that. The PC version and the Android app are really easy to use and everyone, even has no idea of technology can use this service. Although you can easily call to a cell phone with the Skype credit. The quality of video calling is not always the best. There are another options, like Hanghouts or Whatsapp, are more fast and reliable. The quality of sound is sometimes really bad, specially in the Windows version and sometimes you can´t speak. Apart from that, with the PC version of Skype, the service to send documents is really slow and that is a little bit annoying. Everyone has a Skype account, because is the more famous service for video conference, and that´s is pretty good. There are many services but not all the people have accounts for this services. Although you can use also with a Internet Browser, so you don´t need to install a new application in your device. The very first problem you can solve with Skype is that you don´t need to travel to have a meeting with some people. For example, when you are in Europa and you don´t have many time to travel, you can instantly speak with another person in USA, with only one click. That´s really important to save money and time. "Fast connection, conferences and quality meetings with Skype! " I like Skype since we can use it for free, it has an easy-to-use user interface. It allows us to connect online with clients, hold meetings or conferences with employees who are in another city. Skype is quite useful and the configuration process is very fast. We have achieved remarkable benefits, in terms of processes and greater market scope. Skype has an excellent interface, so far we have not found anything that we do not like, it has worked perfectly in each and every one of the videos conferences and calls made. Skype is an excellent choice for meetings and conferences when participants can not meet in person. Skype allows users to connect several people at a time, which is very useful. Because Skype is free and easy to install, it is an excellent option for people or companies wishing to hold professional meetings up to personnel of the work team who are in another city. However, Skype will not work as well when you do not have a good internet service provider. It is a tool that has allowed us to go further than we had imagined. We have used Skype for communication with members of other external organizations, clients, staff that is in another location, also for new applicants in our organization, apply interviews, consultations, collaborations, negotiations, saving time and money for transfers. It is very Easy to use and understand. For being such a valuable tool we use it throughout the organization. For the marketing and improvement of sales has been quite valuable, we have been able to reach more corners of the world, people trust in our products and services, this is really gratifying. I like Skype a lot. "video conferencing with skype is very reliable and of high quality." its easy to install and configure skype. There is a free trial which work well. The video and voice calls are of high quality making communication successful. Sharing of files is simple from screenshot to documents. chat with skype is easy and faster. I have nothing to complain with skype since it efficient but it requires internet to work. Yes i would recommend skype since it makes communication in the office efficient through chats and sharing all kinds of files. The video calls helps to communicate with users all over the world. screen sharing is very helpful during trainings. Reliable with video and voice calls with friends and family and clients from all over the world. Screen sharing was incredible during training since some users were able to participate while out of the office. It efficient with files sharing and chatting which is instant and gets faster response compared to emails. Skype is free to download and easy to install and also easy to use as it does not require me to have any level of education or experience. It has video conferencing feature which makes it easy for me to communicate with my client regardless of the distance between us or the time. Skype is inexpensive to use as it provides free Skype to Skype video and audio calls. I like that Skype provides high quality video and audio calls making communication easy and fast. Skype is so far my number one video conferencing app and I have less to dislike about it just that it requires very strong internet connection to use thus making it difficult to communicate with my clients who are in remote areas. Skype is the best platform for video conferencing for small scale and large scale business and I highly recommend it to you. Video conferencing has been made easy and efficient as I can communicate with my clients all any part of the world. Skype has also helped me conduct interviews with new clients through video and audio calls. The thing I like most about Skype is its user-friendliness. The app's interface is simple and clear enough for everyone to understand. 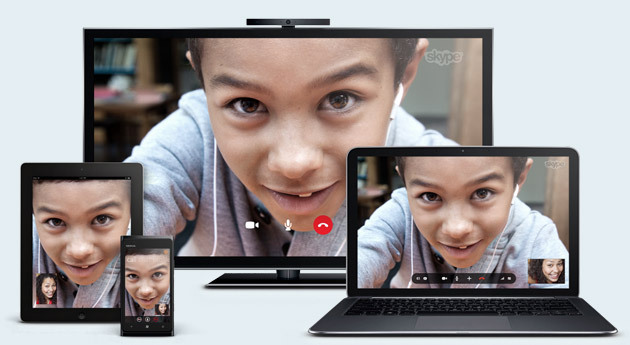 Basically, Skype is accessible through PCs, tablets, and smartphones. Which mean you can converse and hold a meeting with anyone while you're on the move. Also, Skype's translator bot is an amazing feature to mention. I work a lot with clients from different parts of the world. And sometimes there's always a language barrier. However, the translator fixes that issue by acting as a two-way translator. That way we can both converse in languages that we are more comfortable with. Amazing, right? * Usable on multiple platforms. * They have unnecessarily high fees for their paid version of the service. * Skype's free version is very simple and limited which means you may not be able to enjoy some of its best-selling features. If you have long-distant clients/family/friends, Skype is one of the easiest ways to connect with them. And, on the plus side, you don't have to pay a dime to use Skype. However, to fully unlock the app's features and functionalities, you should opt for the paid version. The key benefit of using Skype is that it connects you to people far from you. I use the app to communicate with my clients and business associates with ease. Also, thanks to their translation bot, communicating with foreign clients becomes even easier. "How I have improved communication with my clients through the use of Skype"
What I like most about Skype is that it can be installed easily on your computer or on mobile devices, regardless of which operating system you use because this application is compatible with Windows, Android, Mac and others, and provides direct communication by calls or video calls with excellent audio and video quality for free to any part of the world. In general I have felt very satisfied using this application, there are very few aspects that I do not like, one of them is that to enjoy most of the services it is necessary to pay. For example, to make a group video call you must pay for it. Another aspect that I do not like is that sometimes problems occur related to the quality of the microphone and the resolution of the webcam, but this may be motivated by the speed of the internet connection that is being used when making video calls. I recommend with total confidence to other users the use of this application, it is a software that allows to realize diverse types of direct communication, like voice, video and text in real time no matter how much distance there is between the users. This is a great advantage if you have long distance customers, because it saves you time and you can attend them quickly as many times as necessary. It is also highly secure, and you can have higher benefits with paid accounts for a very affordable price. I have been able to solve problems with my clients being out of town through video calls, I have been able to attend them at the moment without having to be in the same place, as well as inform them of the processes that are taking place, saving me time in meetings that I could Dedicate to give them better answers and quick solutions to their inconveniences. "Skype is not productive and wastes a lot of time due to connection. " That everyone knows what Skype is, so it is easier to explain to people and most of them already have it downloaded. Most people do not know about other programs but everyone knows about Skype even internationally and they have the program downloaded so it is easier for everyone. Skype freezes up a lot and causes disturbances in the video which I hate, often times I have to end my call and call again. Not good quality and takes away from the meeting experience. The students do not get good quality and my business suffers because of the quality of Skype. Start early than your scheduled time to save time. Use the best internet connection so skype performs better. Be somewhere quiet. I have my own business and I use Skype to help contact my students. It makes it harder to speak because the words get messed up and Skype constantly freezes. It makes me look unprofessional and it wastes time. "It allows for faster and simpler communication"
I like it because the plans are much more accessible for international calls than conventional telephone lines. and the quality of the video call is unique. Getting the software to do what we want it to takes some work (feeding in a video from computer and direct audio from soundboard instead of the microphone), but in the end, is worth it since other software can't replicate it. It allows me to communicate with my employees efficiently without having to take unnecessary time to write an email. When you need to set up a video conference, it is always a safe bet that everyone has Skype and is familiar with the software. This is what makes using competing products challenging. 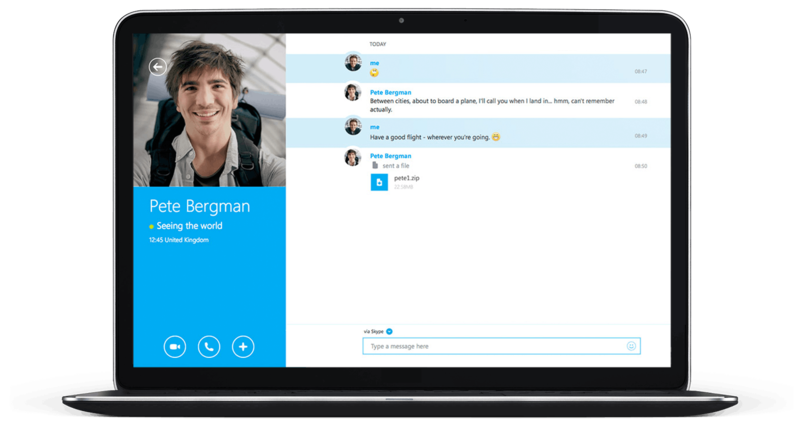 Skype also offers many customization features that let it work for us. We can screen share our screen for a live edit session if necessary, and feed in our mixer into the computer's microphone port for direct audio. Frame rate and video quality wise, the best way to review live video. "The most modern communication tool." About Skype, I like that it is a completely free platform, it allows me to make calls and video calls with my friends or colleagues from anywhere in the world. In addition, this excellent tool allows me to share the screen during the video calls I make, this option is very useful because it allows me to store conference videos that I share with my colleagues. Also, I love that I can share multimedia files in the chat, I can send photos and videos to my friends from any device. Another thing that I love about this platform is that it allows me to make unlimited calls to landline and mobile numbers for only $ 13.99, it seems very economical and totally useful. About Skype, what I really do not like is that it is necessary to access a Wi-Fi network or a fast internet connection before making a call or video call, since otherwise we have a good internet signal, during the calls they have faults. connection, and in video calls the images do not usually look good. My only recommendation for new users who are interested in this excellent platform, is to consider checking if your computer has a microphone and a configured headset. Since many times we start to make some video call and we do not have this configured, it can cause problems. This platform during the last years of use, has solved many communication problems both internal and external in my company. It has allowed me to communicate with anyone in any part of the world just by being connected to the internet. I can also communicate during my business trips with my co-workers. "App for free use and payment"
There are many things I like about Skype, what I like is that you can use the service for free, even if it serves to make video calls to only one person at a time, there is also the option to opt for affordable plans that suit the needs of customers, and this does not mean that their service is poor, on the contrary maintains the quality of service, their video are very high resolution, the sound is totally quality, there is no defect in the service. Its interface, both for mobile devices and on the website is very easy to use, it is also fast and not too heavy, you can find everything from the main menu. I love that you can share the screen and to tell the truth this is one of the best features of the application. Speaking of app, your mobile app is excellent and I can make video calls from the comfort of wherever I am, I don't need to get home. Skype is too cool for you not to like something, it's a perfect, low-cost application, and it's got top-quality software. You'll get an amazing experience during audio and video calls, nice interface and performance. When I started using Skype I did it only to communicate with my boyfriend because we had a relationship at a distance, so I opted for the free version, then I got the obligation to hire talents that were not where I lived so I started a working relationship at a distance, there if I hired the pay service and I was excellent, my business has been growing slowly and Skype is more useful every day, I love it, I would not switch to Skype for anything in the world. "A complete and very mature software"
Always practical and easy to use, a complete tool for any business environment. With all of its meeting functions, whether in written form, audio conferencing, or even video conferencing, skype always caters to the demand, greatly facilitating communication within the company, even when officials are far from each other. Skype is powerful software, serves the simplest users and also serves the users with the highest level of technical knowledge, being a software for anyone. Another huge advantage is being able to use it from anywhere, just like on the cell phone. Sometimes audio or call problems can occur due to technical issues, and at certain times it can be a bit tricky to use in conjunction with other tools, such as Outlook, for example. But this does not obfuscate the quality of this software, always complete and meeting most of the demands. In simple words communication. It solves the communication problem here in the company. It facilitates meetings even when employees are away from each other. Facilitates conversation via chat. Because even using the cell phone, we can make the communication we want. "Best experience for video conferencing"
Skype is probably the best conferencing software I have used, both for personal and corporative use. It’s graphic interface is extremely comfortable, so the process of finding a contact is really streamlined and beginning a conference, whether it is with just one person or a group is an easy task. This tool has allowed our company to grow exponentially since it permits us to do business abroad without the need to travel. 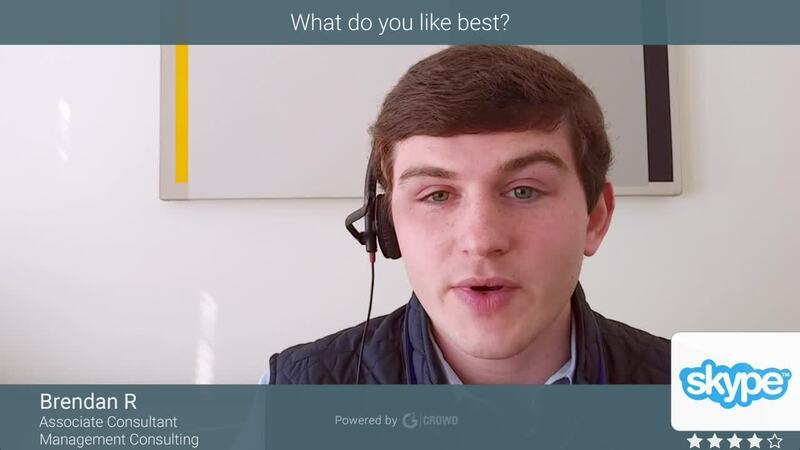 The calling process, whether it is via audio calls or video is always smooth, and the fact that you can record conversations is great when defending our products. I have nothing bad to say about skype, the experience with skype has been excellent; I have used it as my personal video conferencing tool to communicate with people from around the world and have never had any type of issues, you only need a good and stable internet connection and you won’t have problems. The only thing I would recommend to anybody who would like to try skype is to go for it. This is the best software for video conferencing and chatting available. You might want to invest in a good internet connection for you to have the best experience possible, but I can’t find any good reason not to try this incredible software. I recommend it with my eyes closed. Skype has brought large benefits to our company, we use it for video conferencing with our clients when we would like to present a product and don’t have the means necessary or time to travel to our clients offices. We also use skype to keep in touch with clients who are in other countries or even to negotiate the terms for our contracts abroad before we travel to sign them, thus saving lots of time and money. Skype is One of the Best Video Chatting Software of all Time. 1.) It provides the best video quality. 2.) With the stable Internet, It provides stable and Hd Quality. 3.) The best Feature of Skype is that It supports Conferencing where one can chat with multiple people at the same time. 4.) MNC uses Skype to recruit their employees online. 5.) It made the recruitment of Software Developers Very easy because of the integration of the online code editor. Skype is perfection in its type and there are no negative things about it. Although all the services that Skypes are not free and comes at a nominal price. It is a good video conferencing medium and provides smooth conversation over distant networks. I have given various online interviews using Skype and got recruited by TCS. Although I am working with different Organizations right now.